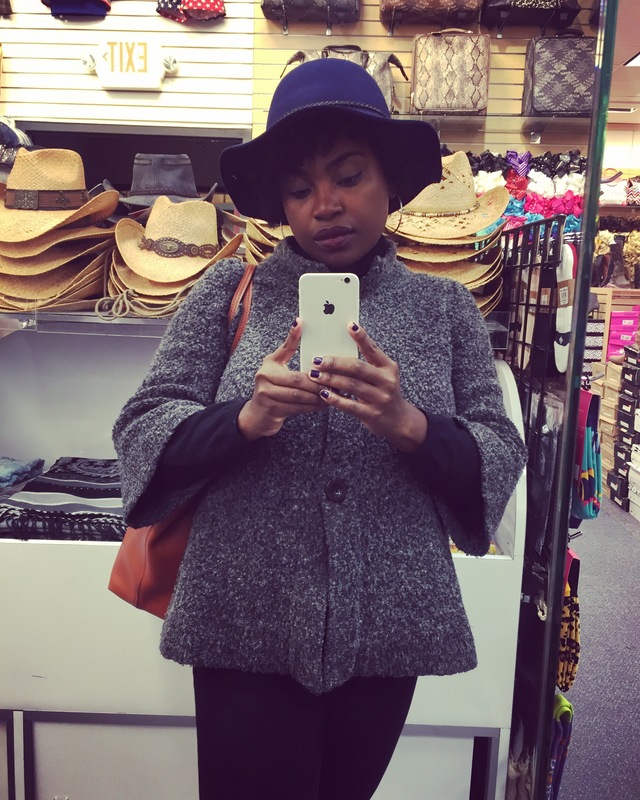 Blogvember #14: Le Fro and Le Chapeau. – This Square Peg. Blogvember #14: Le Fro and Le Chapeau. 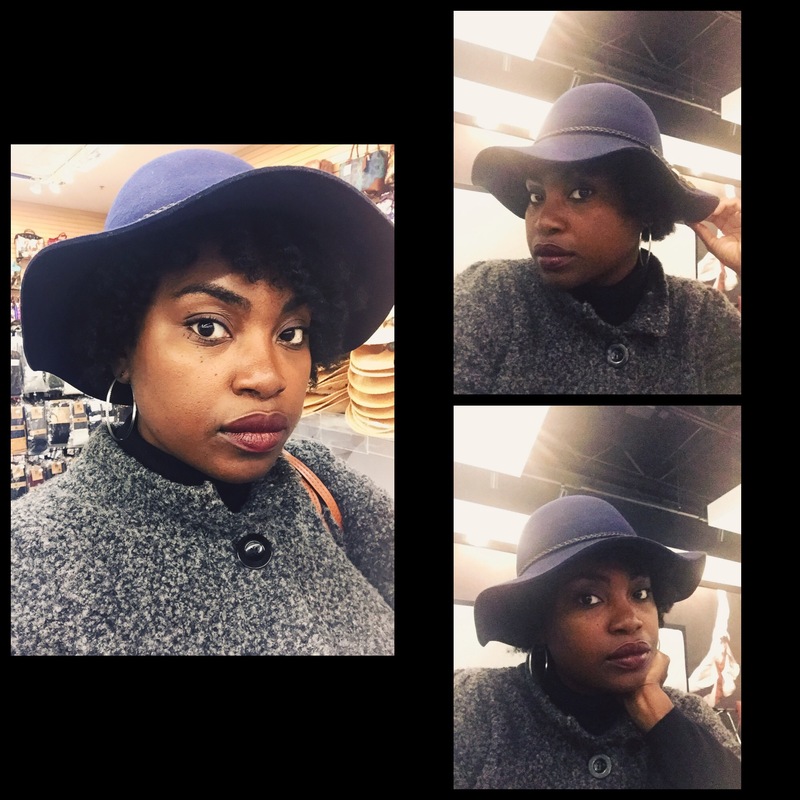 November 14, 2016 Categories Autumn, Beauty, Fashion, Hair, Womanafro, autumn, beauty, Blogvember, fashion, fro, hair, lippie, makeup, natural hair, styleLeave a Comment on Blogvember #14: Le Fro and Le Chapeau. I’m quite happy to inform you that I bought a chapeau (hat) this weekend. Of course, discovering that le fro (also referred to as She) could handle hats isn’t new; I discussed that wonderful revelation here. And yet those reservations about hats and fros and large heads don’t entirely go away, do they? We need to constantly remind ourselves, we in the Big Head Society, that it’ll be ok: hats will fit. By the way, I’m wearing Oh-So Wicked lipstick by Rimmel in these photos. Since autumn is here, I’ve been adding darker shades in between my tried and true red lippie. Don’t you love the variety of it all? Previous Post Blogvember #12 and #13: Le Weekend. Next Post Blogvember #15: Your Square Peg.